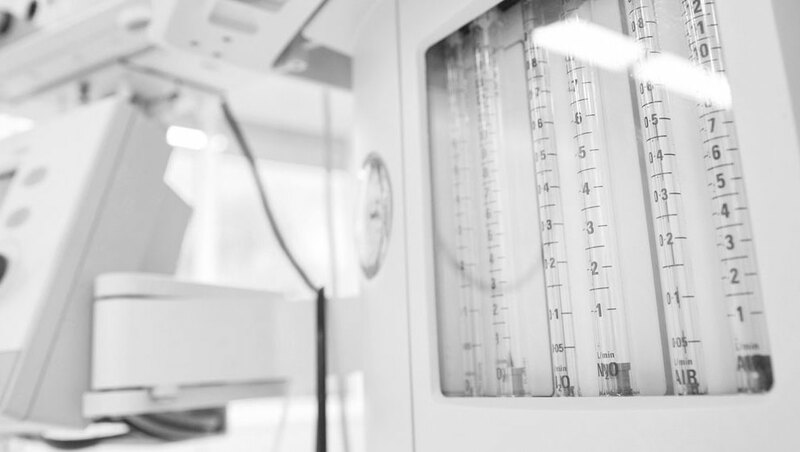 Automating the anesthesia patient record. An Anesthesia Information Management System (AIMS) that provides an easy-to-use solution for the documentation of anesthetic events from Preop through Postop. Population of historical patient information into the current record. 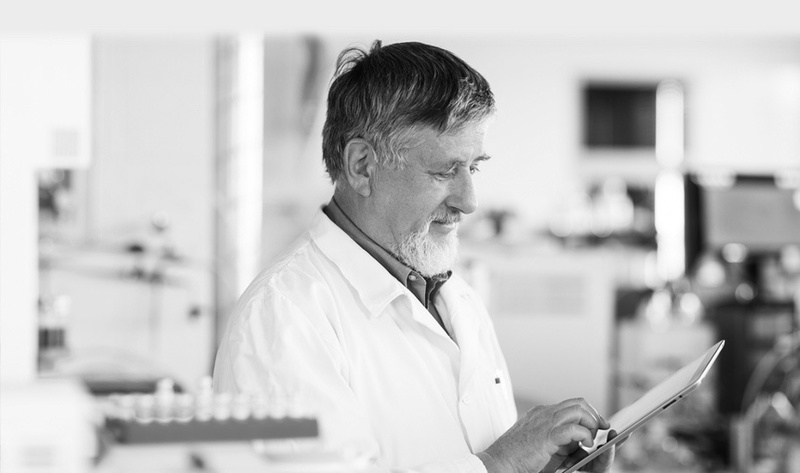 Charge capture, allowing more timely case submission and accurate professional fee billing. Vital signs capture from supported devices, helping ensure accurate recording of physiological data. Continuous collection of data, preserving essential documentation. Designed to replicate the paper anesthesia record, physician adoption comes naturally. Problem List enables quick review of a patient's medical history and documentation of current problems and the physical exam. "Workflow Wizards" allow charting by exception and verification for fast, comprehensive, and legible documentation. Retrospective documentation enables caring for the patient first, then documenting the care event. 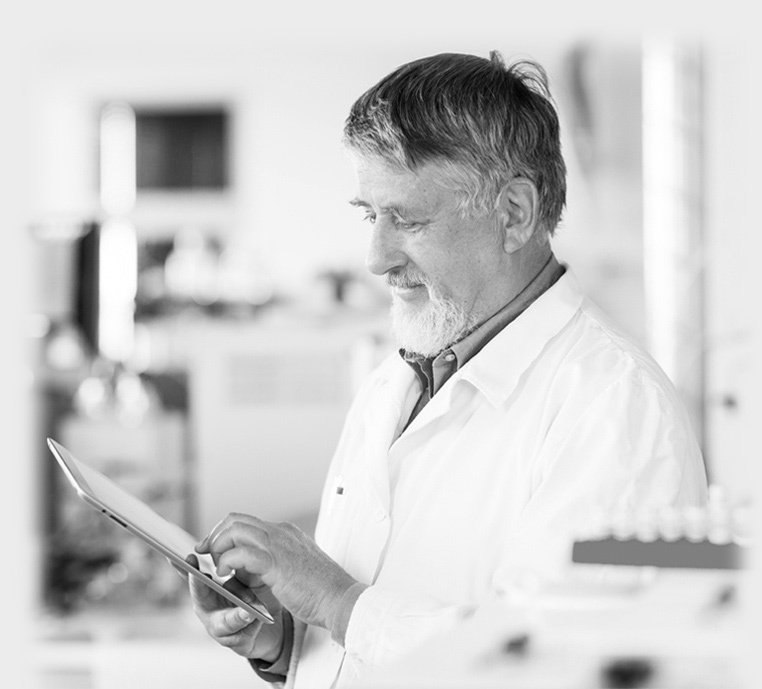 Electronic signature enables providers to easily sign the record. Web-based concurrency module helps anesthesiologists manage the number of CRNAs and other anesthesia providers at the same time. Leverage extensive options to increase productivity, lower costs, and achieve more efficient workflows. 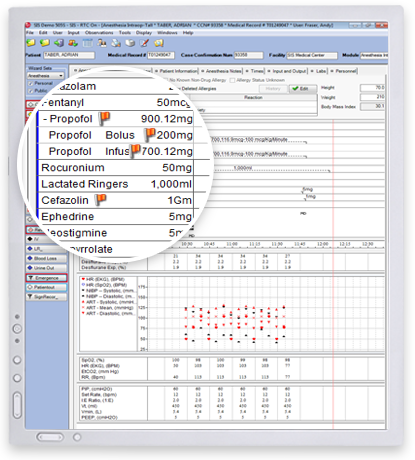 Advanced drug charting integrates drug documentation support into the anesthesia practice, helping improve patient quality and drug capture accuracy. Seamless documentation of fluid I/Os and vital signs makes key clinical information available to support patient transitions from the OR to the PACU and to the hospital floor. 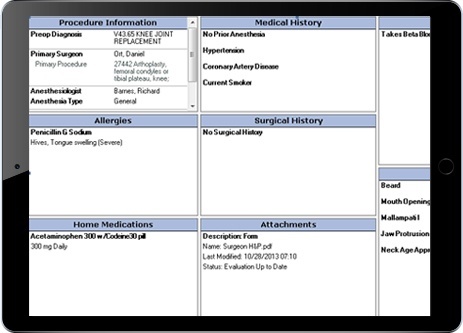 Legible summary record goes with the patient, sent electronically or printed. An iOS-based mobile Preop module makes previously documented patient data easy to access and improves documentation at the bedside. Take anesthesia documentation and turn it into key performance indicator (KPI) data with the optional SIS Analytics Anesthesia View.